Eggspectation is a Montreal based restaurant franchise established in 1993. They have twelve restaurants in Canada, seven in U.S., three in India (surprisingly), one in Dubai and one newly opened herein Qatar. We have tried their breakfast on friday right before the prayer break. We went there around 10.15 AM and it was full already. We had to wait five to ten minutes to get a table. It has indoor and outdoor seating options. We choosed to stay inside. The interior design of the Eggspectation is warm, modern and cozy. The service is fast and attention of the waiters are as it should be. We ordered a breakfast plate as above, a blueberry pancake as below and a veggie omelet. Hot bread, butter and jams are complimentary. I like to see this offerings, where ever I go. 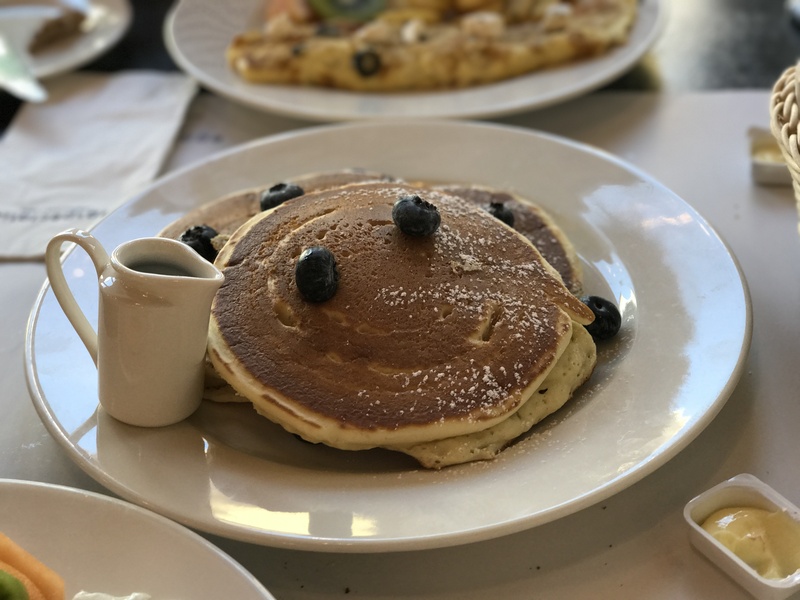 Eggspectation’s blueberry pancake was not as delicious as IHOP. The sizes of the plates are satisfactory. There is no possible way that you will not feel full. However, it is worthy to note that the taste of the food is not as good as IHOP. I found myself comparing with IHOP whatever I eat in Eggspectation. 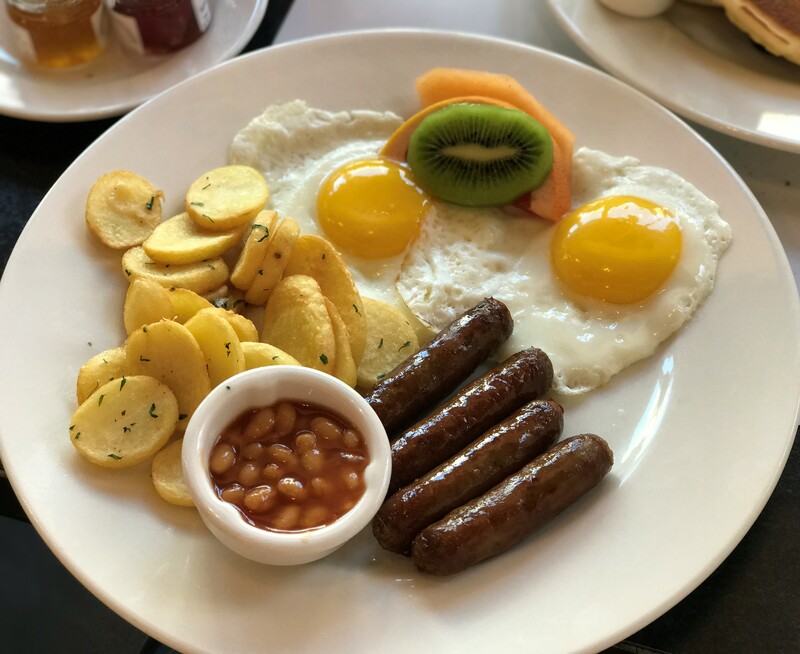 I have to admit that Eggspectation’s location and interior are more preferable for me than IHOP but I would suggest you to go to IHOP if you are in a desire to eat an western style breakfast full of calorie bomb.